This week has been a welcome back to novel writing for me. I’m in a pretty good headspace for it right now. Deadly Troubadours is being sorted and shipped, which is a great relief, even if it is me doing the sorting and shipping (with assists from the Mrs.) Now I can really sink my teeth into getting on with something new. The sequel is going to follow the same format, which is to divide the narrative between the main action and between the backstories of main characters. So far the feedback on that style is somewhat mixed. Some people felt it kept things fresh and moving, others felt I kept changing toys on them. 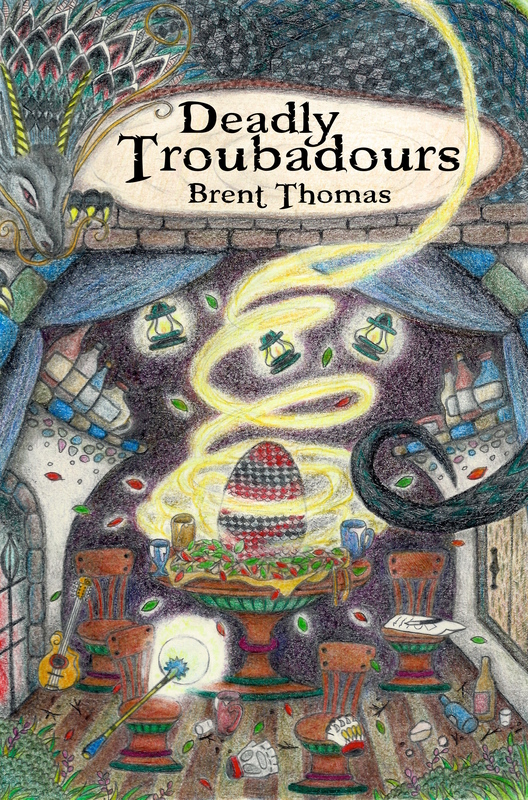 Still, I’m enjoying writing that way and it is going to be a part of the Deadly Troubadours novels. So, how do I write? First and foremost, I don’t wait for inspiration. It is awesome when inspiration hits and from start to finish I can just let the words from heaven spill from the ether, through my fingers onto the screen. I don’t have time to wait for inspiration. I need to write. I need to force those words out. And usually if I sit down and start going, then after five minutes, I might as well have started with inspiration. That is the thing that really makes me feel that even though writing his a element of talent, it is very much a skill. You have to work at you. You have to sit down and write. And the more you write, the better you get at writing. For me, it is the starting writing that is the hardest. But the more I write, the easier that writing gets. Even this daily blog/reviews serves as a whet stone to hone getting starting. But what else helps? Preparation. I’ve got a notebook that is getting filled with story ideas and hooks. And chapter outlines. Where the story needs to go. Character notes. Filling that notebooks lets me know where the next several days or even weeks of writing need to go. And, since it is a notebook I can keep it with me anywhere a jot in it whenever there is time. It is my little book of brainstorms. So, that is how I write. A little bit of planning and then just sitting down and writing. And bit by bit, the world gets full.